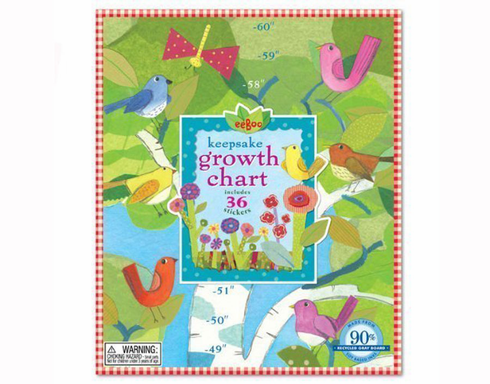 Birds in a Tree Growth Chart is a charming gift, perfect for expecting parents. eeBoo's excellent quality includes a gorgeously illustrated, heavily laminated chart that folds up and fits inside a sturdy gift box. Measures up to 60 inches. The chart comes with 20 stickers for marking birthdays and other important occasions.